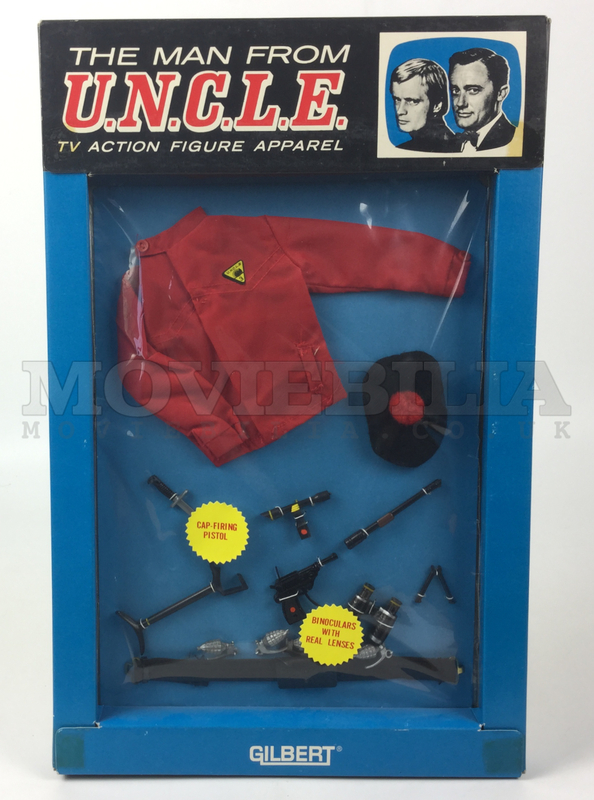 Accessory set for the Gilbert 12″ figures. Approx 36 cm x 23 cm. 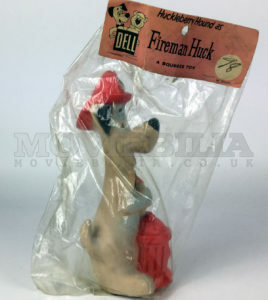 Plastic vinyl figure by Dell, circa 1960’s. Figure approx 20 cm tall. Within baggie with illustrated header card. Packaging exhibits expected slight age wear. 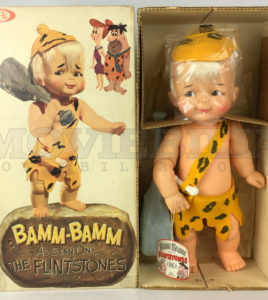 Ideal 17″ tall Bamm-Bamm figure with Club accessory. This was the largest size release of Bamm-Bamm by Ideal, circa 1964. 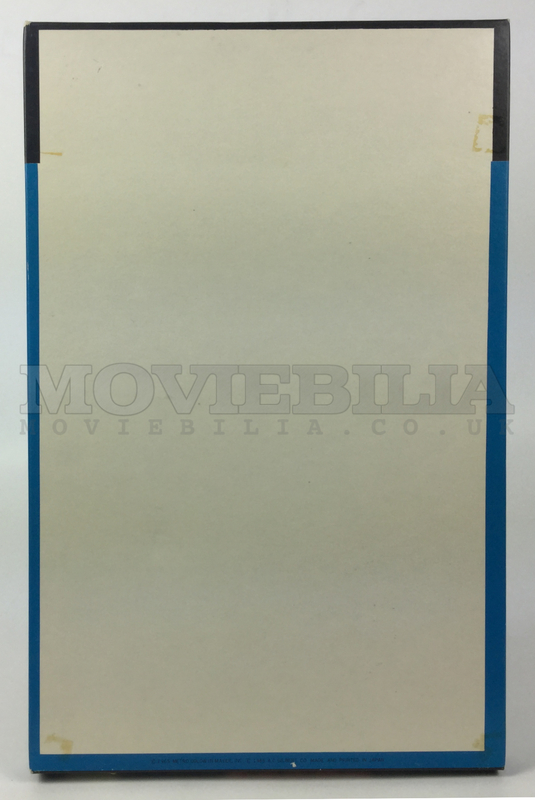 The figure appears unplayed with, never removed from box, plastic wrap around hair, internal packing and retaining the original card pictorial wrist hang tag. The box has some minor tape repairs but this does not detract from the appearance of this stunning collector’s piece.